Released in August 2013, Ellroy and his “Human Creation” EP provided a deep and sensual tech house moment as the French Canadian called on his BBoy musical heritage to fine effect. Returning once more, the third track from the EP now receives three new remixes from a fellow Canadian countryman and two European favourites as “Zeche” is reprised in all its groove-laden glory. Spanish producer Pablo Boilvar is an artist of considerable repute. Responsible for a huge body of work including the “Anjanas” and “Recall” albums for Regular in 2006 and 2009, and ambient offering in the shape of “Mottion: The Ambient Works” for his own Avantroots imprint, Bolivar’s skill and technique is beyond compare. Over 300 Beatport production credits sit proudly next to his name including over half a century for Avantroots. Regular DJ appearances across Europe confirm Bolivar’s popularity in the live arena and it is with great pleasure that Apollo welcomes him after a successful remix on sister label Proton Limited. 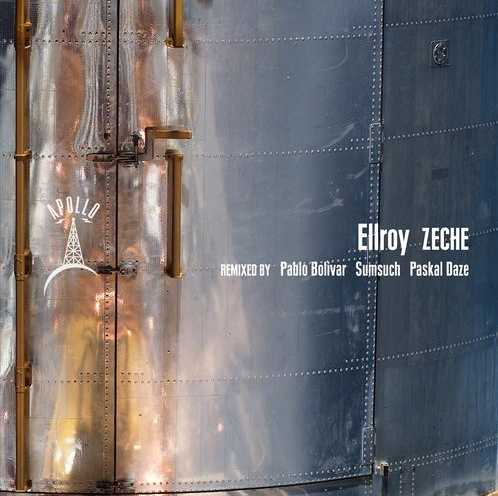 Turning his attentions to Ellroy, Pablo Bolivar’s remix of “Zeche” provides a delicate rolling groove as rhythmic claves beat hypnotically against a backdrop of soft multi-layered pads, warm pulsating bass line and ethereal siren call. Combined to great impressive effect, the remix is a hands-down winner.